Victoria Wheaton-Young, is a certified family nurse practitioner providing primary care through the Imperial Valley Family Care Medical Group. She is a member of the UC San Diego Health Physician Network. 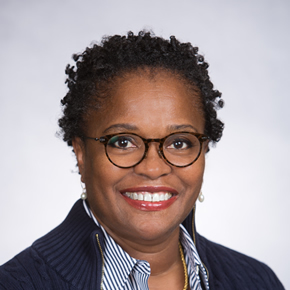 As a family nurse practitioner, Ms. Wheaton-Young delivers primary care to people of all ages - including preventive care, and diagnosing and treating chronic, complex multisystem disease processes and acute conditions for a multicultural diverse population. Before joining the Imperial Valley Family Care Medical Group, Ms. Wheaton-Young was associated with Alliance Health Clinic in San Diego, CA, where she performed in-depth practice services for the CHDP program, providing well-child care and well women exams and health maintenance. She focuses on health promotion, risk reduction, and patient education such as screening and patient education surrounding accepted quality measures and standard protocols. She earned her Master of Science in Nursing from the University of San Diego, and is certified by the American Nurses Credentialing Center.